Here at New Life we take the education and safety of the youngest members of our church family very seriously. We are proud to provide safe, clean, loving environments for all of our kids. Our classes are staffed by an excellent team of volunteer teachers that have gone through an interview process, thorough criminal background check and receive continuous training to ensure we are providing your child with the best care possible. Kidz World's goal is to help every child build strong relationships and become more like Jesus. KidzWorld Groups are grade specific small groups that review and reinforce the lesson taught in KidzWorld the previous weekend. 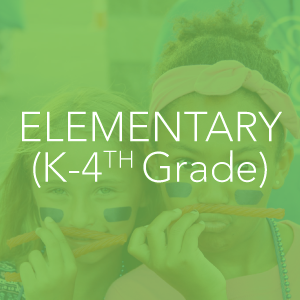 These groups are intended to help kids develop strong relationships and become more like Jesus. KidzWorld Groups meets on Wednesday nights during the school year from 6:30-7:30 PM in the main sanctuary. KidzWorld operates with four core values that help us in the evaluation of all our programs and strategies. Everything we do in our weekend services is designed to achieve these four objectives. Not just in terms of physical safety (which is a high priority) but also spiritual and emotional safety. Any time a child walks through the doors of KidzWorld they need to feel as if they are entering a safe haven where they can experience a brief taste of the unconditional love their Heavenly Father has for them. Children are sponges absorbing the world around them. We should aim to create environments that creatively reveal to them the story of a loving God that desperately wants to have a personal relationship with them. That is why we utilize videos, live drama, puppets, games, worship, small group discussion, object lessons and anything else that you can dream up to serve as tools to reach a child and help them mature in their faith. If kids are bored or disconnected they are not going to be listening, thinking or growing. Parents are the single largest influencer in a child’s life and the ones who are ultimately responsible to God for their upbringing. Since this is the case, we make every effort to make parents aware of the material being introduced to their children and equip them to continue on the discussion at home. Children need to experience firsthand what it means to be loved unconditionally, to worship with all they have, and to serve others selflessly. It is one thing to give them the knowledge of an all-powerful, all-loving God worthy of our praise and an entirely different level to give them the opportunity to actually love, worship and serve him. We offer three identical services for your family to join us at each weekend. Kidz World Groups is our mid-week discipleship program for K-6th grade. Where Does My Child fit? Our Infant Classroom is where our ministry to children begins at New Life. We want babies to be brought to Jesus’ lap the first time they are brought to one of our nurseries. Children in our Toddler Classroom start each week with a time of play before being exposed to worship songs, an animated Bible story, prayer, and a snack. Our main goal for every child in this class is to let them know that they are loved by a heavenly father and help them overcome the anxiety that many kids experience when separated from their parents. 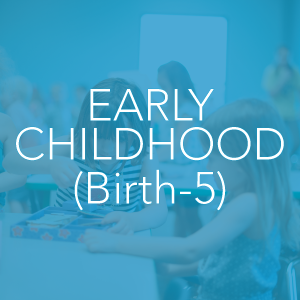 Our Preschool class begins teaching the very basic concepts of God’s love. They will learn the great stories of the Bible, memorize scripture, learn to pray and participate in worship. A high energy kid’s service that teaches Biblical truth via age relevant, application oriented, curriculum. Each week, we focus on one main idea and one Bible verse that we explore through a variety of methods, such as videos, skits, crazy puppets, games, and small group discussion. We also enjoy awesome times of worship. All this is aimed at helping our kids to grow closer in their daily walk with God. Our K-4th grade class meets during all three of our regular weekend services. We know this is an age where elementary students might feel like they don’t fit because they are not small children and not yet teens. But they can find a place to belong here in a classroom environment designed specifically to help them prepare to transition into our Fuel Student Ministry. 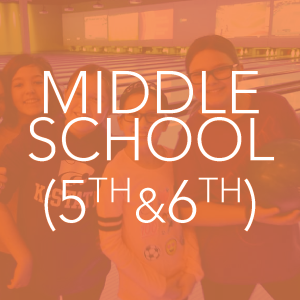 5th & 6th grade is available during the 11am morning service. They have their own game room complete with ping pong, billiards, air hockey and video games to hang out in before service and classroom teaching that is geared for the challenges they face on a daily basis. In addition to our weekend services, we hold quarterly social events aimed at providing students an opportunity to fellowship and build relationships. This is a great place for your student to belong.